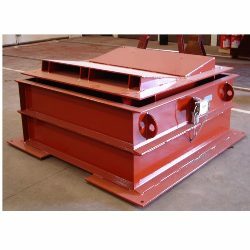 B-TEK Hi-Impact series offers a rugged structural steel weighbridge and the reliability of double-ended shear beam load cells to provide legal for trade accuracy in extreme industrial applications. B-TEK offers a complete line of Hi-Impact scales to satisfy these demanding applications. B-TEK Hi-Impact series offers a rugged structural steel weighbridge and the reliability of double-ended shear beam load cells to provide legal for trade accuracy in extreme industrial applications. Industrial weighing operations require heavy-duty, reliable scales that function 24 hours continuously. B-TEK offers a complete line of Hi-Impact scales to satisfy these demanding applications. The BT-HI series scales can be utilized in a number of applications, including: coil, pipe, and steel processing. Also, BT-HI series scales can be used for coil transfer car weighing and walking beam coil processing lines.